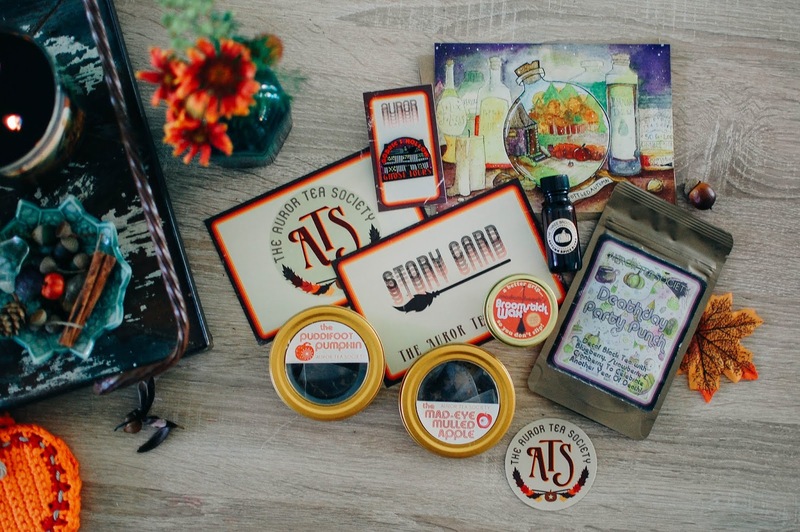 Jay, my friend from The Scented Library, hooked me in and wrapped me up in this tea subscription box like a vine of Devil's Snare. And I couldn't be happier. Jay and I featured The Riddle's Tea Shoppe Auror and Death Eater summer boxes not too long ago. Unfortunately Riddle's Tea Shoppe is closing down the tea boxes. They sold fall boxes (one for Auror and one for Death Eaters) and recently did a pre-order for the Auror winter box and probably soon for the Death Eater winter box. I have and will pick them all up. The boxes are $42 shipped. 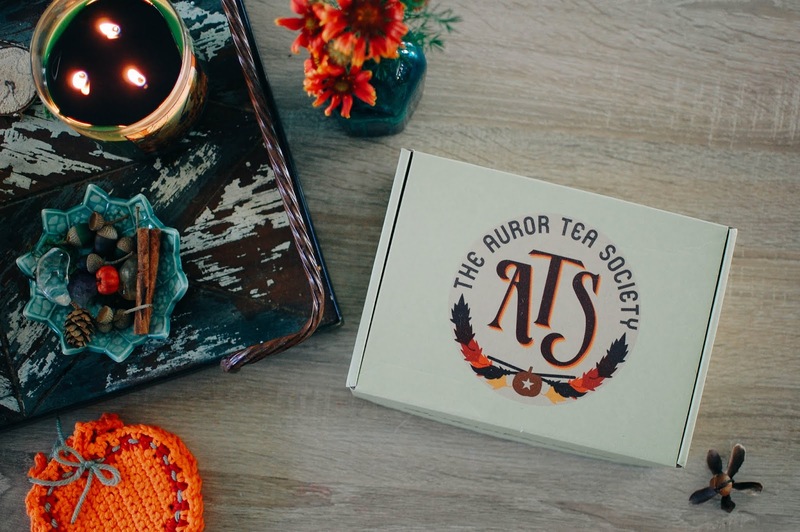 These boxes open like magical treasure boxes, small details like autumn colored crinkle paper, leaves and acorns along with themed cards and teas. 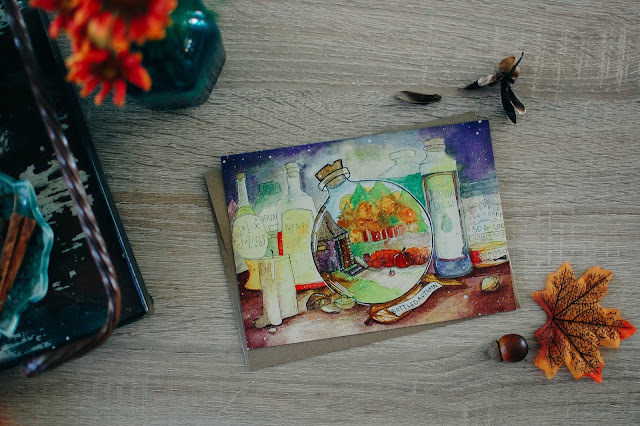 This box contained three teas, a jar of spice, a tin travel candle, enamel pin, a sticker and art card. I love these cards with artwork on them. I pin them up on my bulletin board at work to gaze at. The "Bottled Autumn" one is perfection, Hagrid's Hut in fall? I couldn't ask for anything better. If I could get this on a phone case I would. The Three Broomsticks Autumn Spice blend is comprised of cinnamon, nutmeg, ginger and cloves. It is labeled as organic. I am looking forward to sprinkling this in my morning coffee. The enamel pin is colorful and well made. There is a purple glitter sparkle in the background. But the pin leaves me feeling torn. Kinda sad. Kinda spooky. And I don't know how I would feel going on a ghost tour to see Potter's parents but I do like the pin. Deathday Party Punch is the caffeine-free tea offered in this box blended with decaf black tea, blueberry, strawberry and cranberry. There are apple slivers and rose hips along with raspberry leaf in this tea. It tastes divine when steeped. Clear and juicy and mildly tart on the tongue. 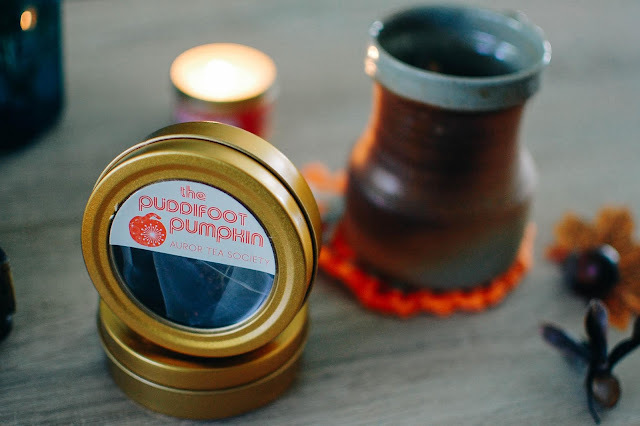 The tin travel candle is a Riddle's Tea Shoppe exclusive. It smells amazing. The apple cinnamon with mild fruity tea leaves is gorgeous. It burned well and threw well too. If this candle ever comes in a larger size I would jump on it. The two other teas are caffinated and arrived in these cool tins with a viewing window. These are bagged teas, which I appreciate for use at work. 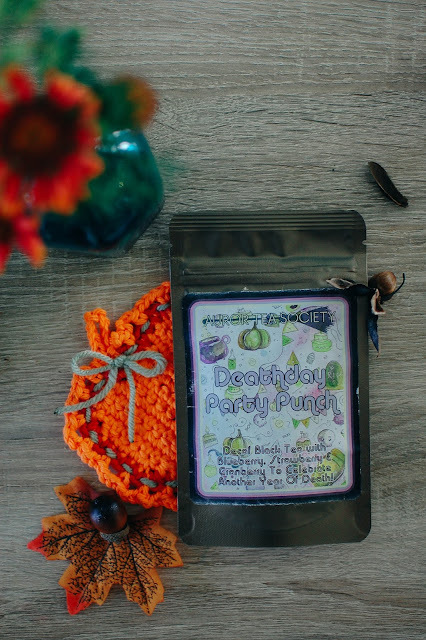 The Puddifoot Pumpkin is brewed up with black tea, honeybush tea, cinnamon bark, ginger root, pumpkin spice, cardamom, cloves, cocoa nibs, marigold flowers, safflower and caramel flavor. 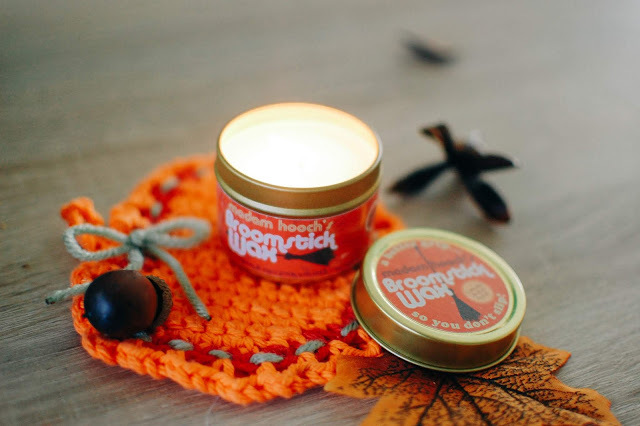 I have not made this one but it smells lovely, like a pumpkin spice tea with extra sweetness. 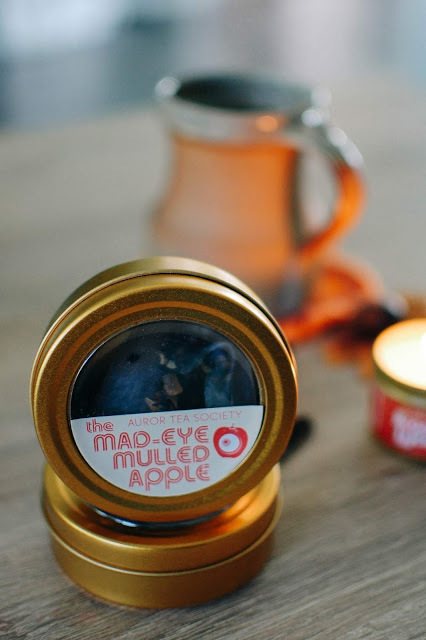 The Mad-Eye Mulled Apple is one I did steep a cup of and it was delicious. 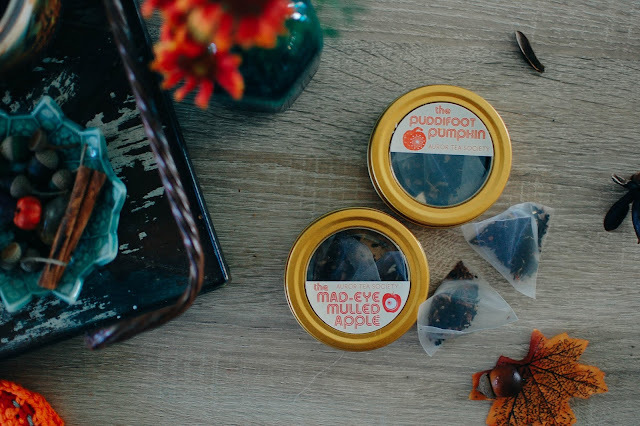 Mad-Eye is made of black tea, rooibos tea, cinnamon bark, ginger root, cardamom, cloves, orange peels, apple pieces and caramel flavor. The gingery apple and black tea made for a smooth and warming tea experience. It was perfect without any additional sugar or cream. These last two bags (there were three per tin) will go fast. I don't normally watch scary movies any more. They don't sit well with me and tend to make me anxious in a bad way. I have, however, watched Babadook and The Woman in Black recently. It is always fun to watch Daniel Radcliffe in movies or TV shows. He is pretty much just Harry Potter playing other roles to me and I know he would hate that but that is who he is for me. I ended up enjoying both those scary films though. What scary but not too scary movies do you recommend for me? I'm so not into horror movies at all any more, if I ever was, although I'm still okay with spooky movies or even PG-13-type horror. But I watched The Witch yesterday on Netflix (that's the one that's spelled The VVitch, with two capital Vs) and it was laughably bad. As in I actually did laugh out loud. I have no idea what possessed me (heh) to watch this movie about paranoid settlers in the 1600s freaking themselves out about witches in the woods, but it just kind of failed on all fronts - silly story, badly acted, and nearly all of the scares just relied on long, drawn out eerie music cues. So I wouldn't recommend that one! I'm seriously about Vampirina speed these days (that's a Disney Jr. character!) when it comes to my spooks. I just received my DETC box yesterday and it's quite a dark departure from the rest. 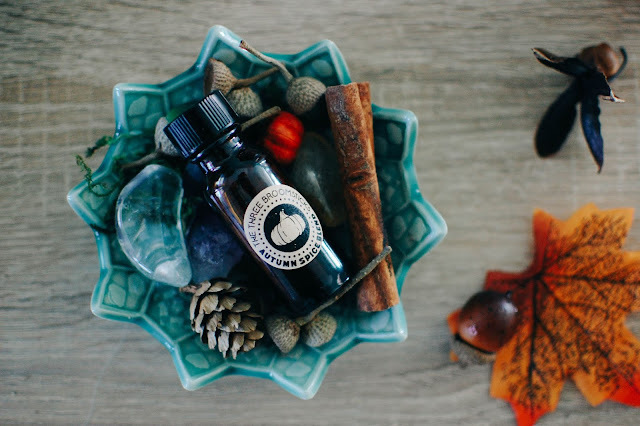 At first I questioned where the cuter seasonal stuff was, a la the Auror box, but I've warmed up to it. Should be a fun, moody one to play with. 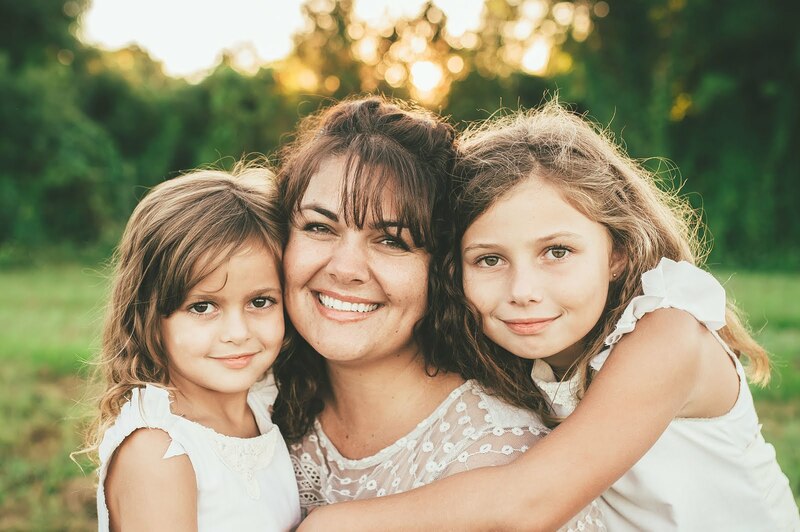 It makes my heart glad you're loving them as much as I am. I did! I have this thing about Hagrid's Hut. Probably because he is my favorite character. But I dream about snuggling up in one of his ratty overstuffed chairs in front of his fire with some awful rock hard biscuits and warm tea. You are exactly right, that DETC box was a touch extra witchy. The tarot and dark spells and skulls were pretty Borgin & Burks-ish. I was almost afraid to dig in and find a scorpion or Hand of Glory buried under the crinkle paper. Did you get the last one? The winter box? P.S. 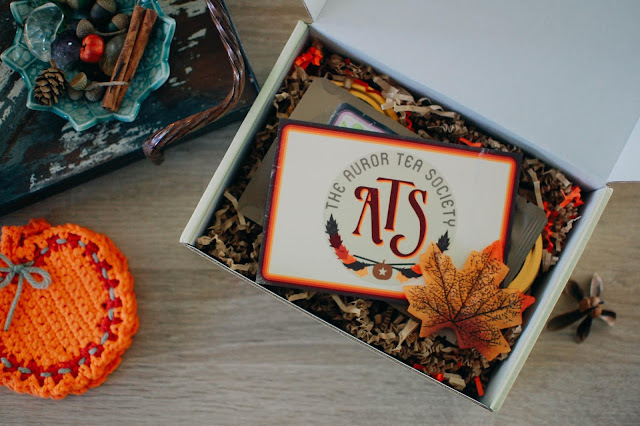 If you get a chance, visit Riddle's Tea Shoppe's new website, Joe posted a blog article about the design process for the autumn box and it's interesting, also included is an Autumn auror playlist, how fun is that? Hallmark Harry Potter ornaments eh? I need to see if there is a Hagrid ornament. He is a pretty amazing fella. Thanks for the heads up! I went and read it and loved seeing that insight. 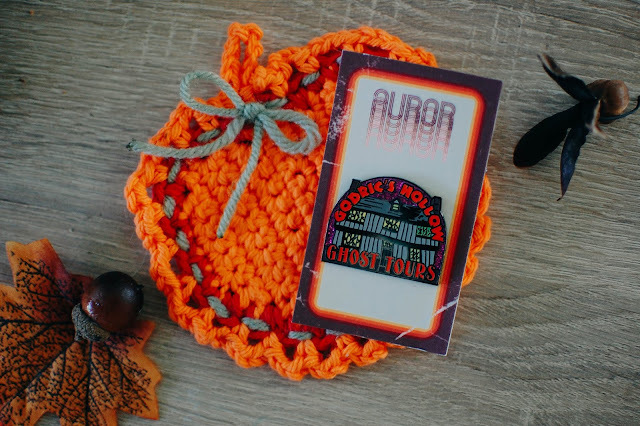 I definitely see that retro 70's vibe and the tones worked perfectly for fall. I do appreciate a strong theme.